We are all excited for Spring to truly manifest. We can just taste the warmer weather, the sunshine (I am in DESPERATE need of vitamin D) and the fresh outfit inspo ahead of us. What I’m most excited about is that we have a new opportunity to find balance and set some personal health & wellness goals. Don’t beat yourself up if your January “I’m going to get healthy and fit” goals have long since dropped off. The beauty is that you can start again by taking advantage of the momentum of Spring. Not sure where to start? Consider these easy and energizing solutions that will keep you slaying your wellness goals all year long, whatever those goals may be! Since March was National Nutrition Month, I’ve been thinking a lot about my food choices lately. With better weather ahead, I know that my schedule will be occupied and I’ll be eating out more often. Fast food typically drains my energy and I’ll need all the stamina I can get. I’ve been on the hunt for places I can go to get a quick meal in the city that nourishes me on a deeper level and compliments my fitness goals when I’m feeling strong. 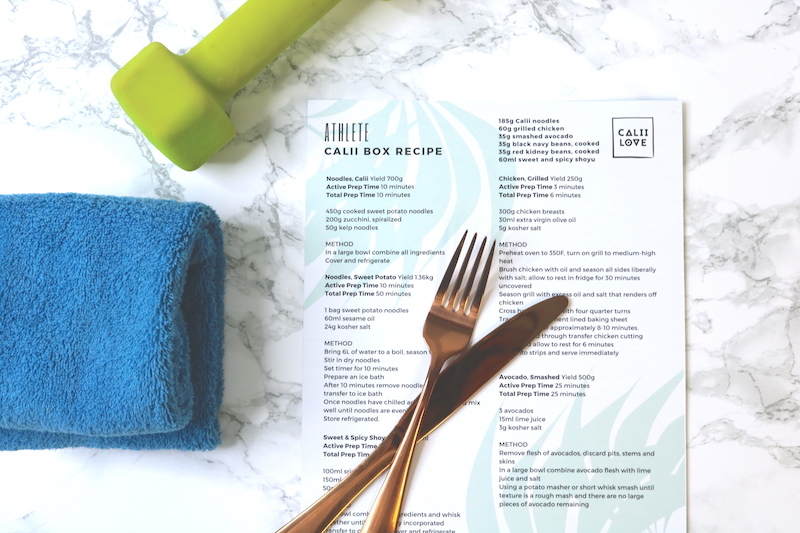 Calii Love has recently introduced their Spring menu that includes their Calii Box – a fully customizable item that comes at an approachable price point. 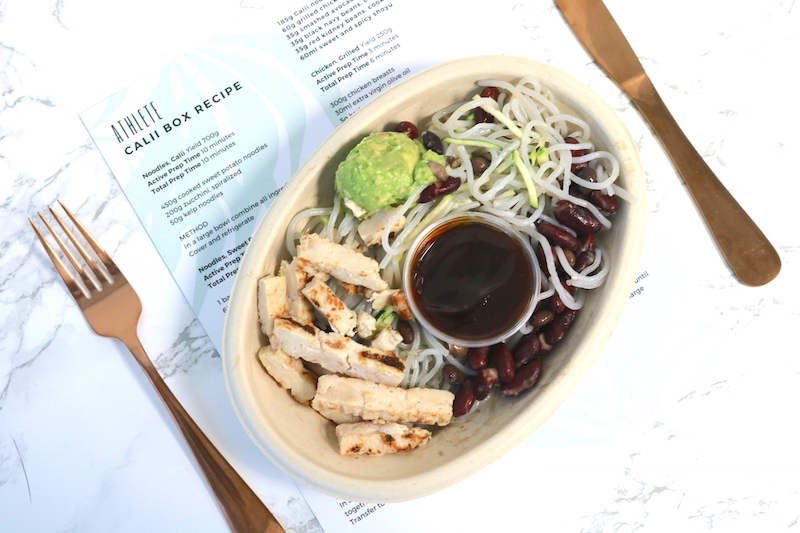 For $9.95 you can choose from 8 bases, 7 proteins, 29 toppings and 8 sauces to create a healthy bowl that suits your individual wellness goals. Whether you’re looking for something plant-based, vegetarian, non-dairy, or just want to eat clean, you will find something that works for your diet. It’s the perfect pre or post-workout meal to restore your blood sugar levels with healthy complex carbs (hello Calii noodles! Yes, they’re gluten free! ), get lean with protein and fibre-rich legumes and just enough healthy mono-unsaturated fat. Seems like the theme of 2019 is self-love and I’m so glad it’s on trend. You might be thinking that all this talk about practicing mindfulness, intention and being present is a bunch of baloney – But it certainly is not. Times have changed since social media came about. You can be reached anywhere, anytime. If you’re anything like me, you’re constantly comparing yourself to others and feeling the pressures of measuring up to “society”. Turning the volume down on all of this noise is a must if you want to remain focused on your personal wellness. Lightening up your mental space will certainly help you live life lighter. I’ve tried meditation apps before and found that I needed a better space and real guidance to truly commit, so I’m going to hit up a meditation studio on a regular basis to become connected to myself, as well as other human beings. 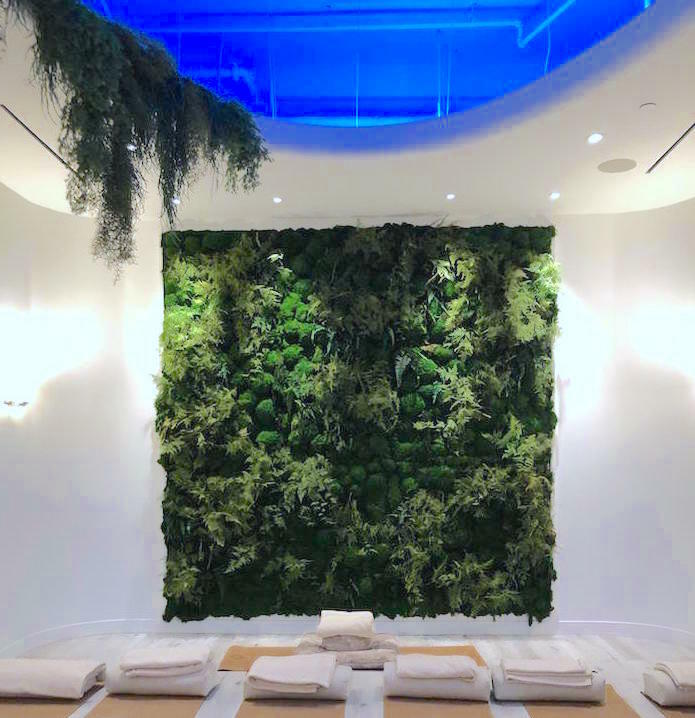 The other day, I walked into Hoame, a meditation studio in Toronto and I immediately added it to my spring wellness list. Personally, I’ve never seen anything like it before. The décor and overall vibe embodies modern meditation. The place is decked out with an Insta-photo friendly lounge area, a sauna and salt cave to chillax in and you can choose between sessions in a light or dark room that will set you at ease in an instant. You can book a cushion easily online for an affordable rate. If there’s a mediation studio near you, I suggest you take FULL advantage! Water can get boring, alcohol is dehydrating and soda contains sugar, not nutrients. It’s time to think about your drinking habits (well, we all can’t be perfect and I do enjoy at night out accompanied by cocktails). I drink a lot of coffee and although it gets me jacked for a few hours, it’s not a long-term, dependable source of energy. I’ve been turning to nourishing beverage options like Nut Mylk – a new line of vegan, gluten free and dairy free nut “mylks” made in partnership with Mylko using Calii Love’s proprietary blend of nuts. The grab-and-go beverages come in five unique flavours: Blue Majik, Beet Rosewater, Golden Mylk, Matcha Vanilla, and Chocolate Milk. 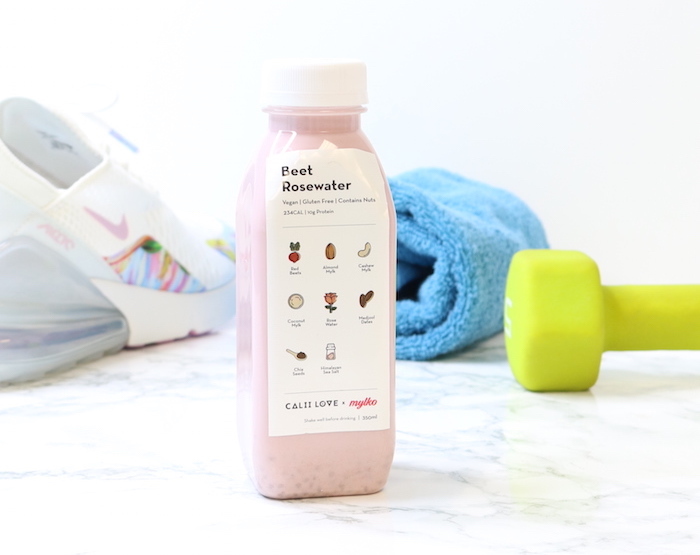 Calii Love’s mylk uses high quality ingredients that are packed with nutritional value. For example, ginger (anti-inflammatory and good for digestion), dates (high in fibre), maca (enhances mood, energy and balances hormones), and many more superstar ingredients! When you make conscious decisions for your personal health and mental well-being, things seem to fall into place and the self-loving momentum builds. 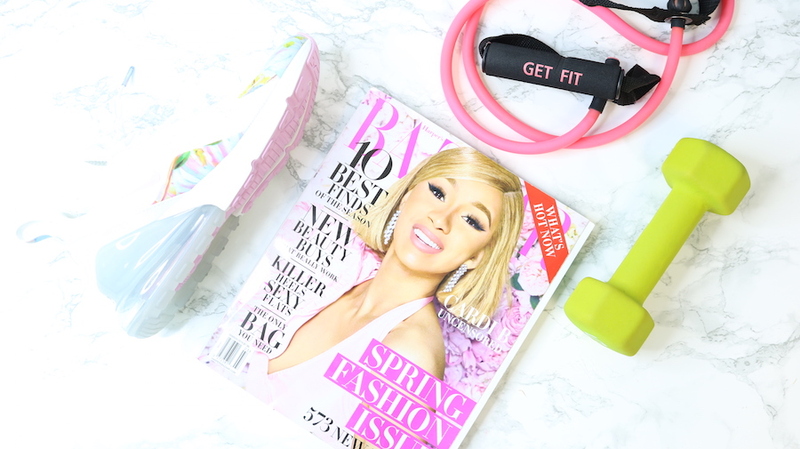 I wish you good luck as you supercharge your spring wellness goals and I hope that you continue to slay them throughout the year. There’s no time like the present! Do you have any tips for staying on track of your wellness goals? Help a sister out by sharing in the comments!